Every year, Ghana’s number one online real estate company, meqasa.com, organizes a housing fair which brings together some of the nation’s top real estate developers, agencies and ancillary services providers. 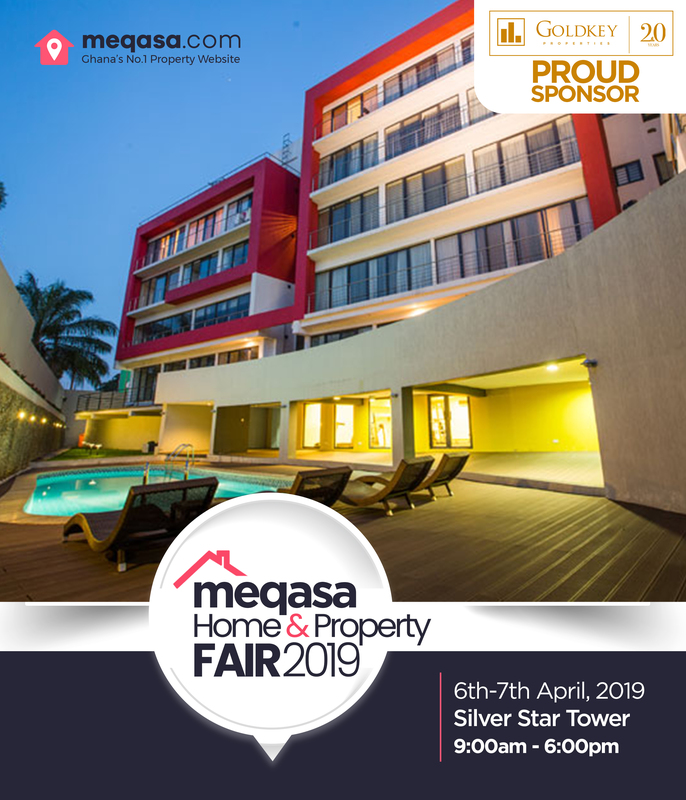 These leaders in real estate come under the same roof with meqasa every year to provide lasting solutions to the housing needs of the general public. 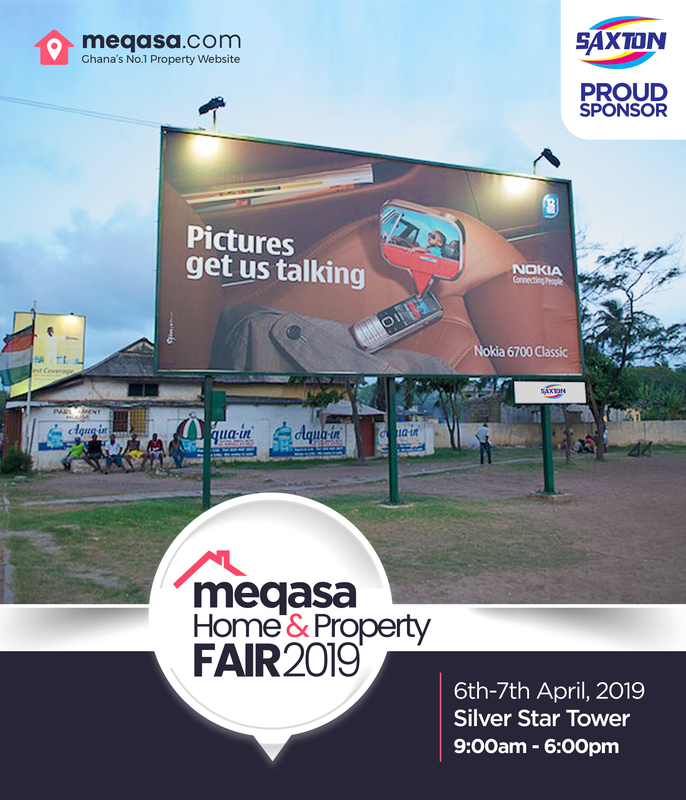 This year’s housing fair dubbed the “meqasa Home & Property Fair 2019” promises to be the biggest one yet! 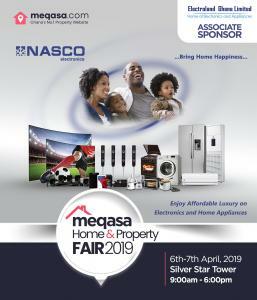 With amazing success stories from the past housing fairs, there is no doubt that the meqasa Home & Property Fair will be a huge unprecedented success. 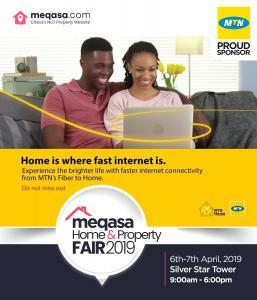 The Meqasa Home & Property Fair is proudly brought to you in association with Electroland Ghana Limited and sponsored by Goldkey Properties, MTN Ghana and Saxton Ghana Limited. Electroland Ghana Limited (EGL) is a home and appliances company in Ghana that has almost two decades of experience in providing the highest quality products that meet the challenges of their customers’ needs. 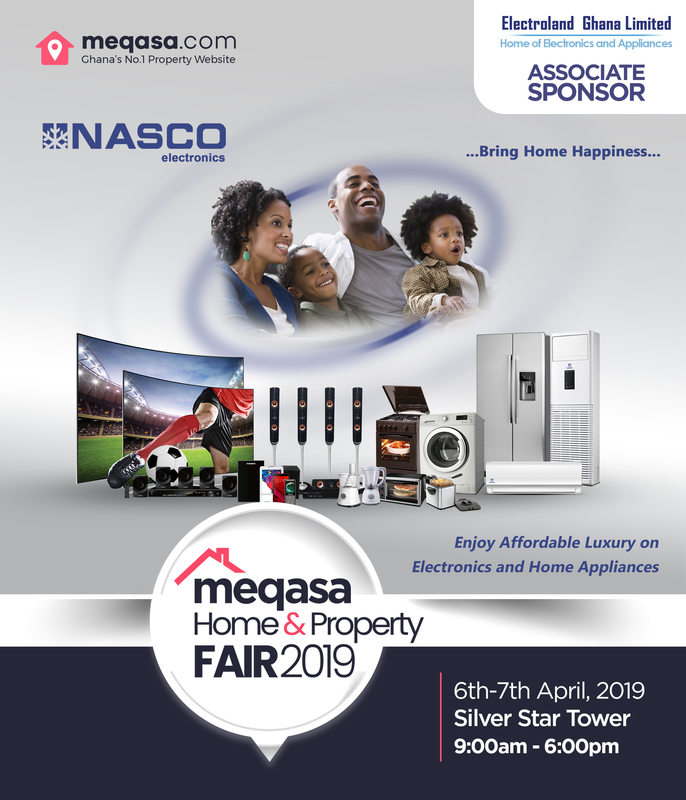 Electroland will be offering amazing discounts on electronics and appliances such as refrigerators and floor standing AC’s only at the meqasa Home & Property Fair 2019. They work with some world renowned brands such as Samsung, Midea, Kodak, NASCO and ABB to deliver a wide range of products such as home appliances, kitchen appliances, mobile phones and electricals. Their products are competitively priced with flexible payment both for retail and wholesale products. They currently have seven awards under their belt. 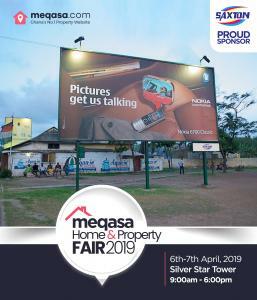 Electroland Ghana Limited is the Associate Sponsor for the meqasa Home & Property Fair 2019. MTN is the leading provider of telecommunications services in Africa and the Middle East. As of 30th June 2013, MTN recorded about 201.5 million subscribers across its operations in Africa and the Middle East, making it one of the most valuable brands in Africa, and is ranked in the top 100 brands worldwide. 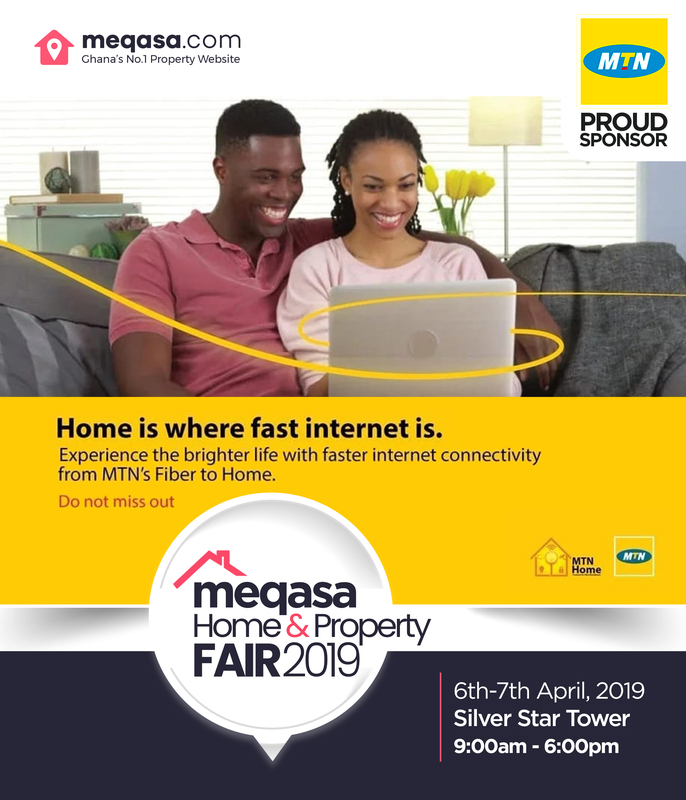 MTN Ghana will be sponsoring the meqasa Home & Property Fair 2019 through cash donations and by providing home internet services as well. They have driven economic growth in Ghana through the emergence of the MTN Mobile Money (MoMo), which caters to the financial needs of people on different economic spectra. Since the introduction of this service in 2009, it has reduced the pool of unbanked persons in Ghana and signed on more than 1.5 million active subscribers while recording a total of 18.5 million monthly transactions. Goldkey properties is notably one of the leading real estate development companies in Ghana that provide premium quality real estate that ensure maximum value, comfort and convenience to customers. It is renowned for its leadership and proven-competencies in commercial and residential developments for sales, rental and its service-driven property management culture. Goldkey has master-planned Residential, Mixed-use and Commercial developments in prime locations in Accra such as Airport, Cantonments and East Legon among others. They have two awards under their belt and was also nominated as “Mixed-use Development Africa“. Goldkey Properties’ exquisite developements are Odi’s Court, Hammond Court, Pinnacle Place, Ashville Court, Glenwood Enclave among many other developments. Their 1 & 2 bedroom Cantonment Apartments are almost sold out and starting at $199,000. Saxton Ghana Limited is an expert in outdoor advertising that offers a broad spectrum of quality outdoor advertising services such as Large Format Digital Printing and branding in all the ten regions of Ghana and across West Africa. They provide the best advertising services for the leverage of your products on the market. Saxton has a variety of products located at commercialized areas across the city centers and these include billboards, bus stop signs, street finders, and house numbering signages.